Overcorrecting to avoid obstructions or potential collisions is a leading cause of accidents. This last-second attempt at avoiding an accident often leads to disaster. Each year, numerous overcorrection accidents occur when motorists swerve sharply to avoid deer, pedestrians, or traffic in the roadway. It can have deadly consequences. Just this month, two men were killed when the pickup truck one man was driving overcorrected. At the time of the accident, the driver was most likely distracted by the 4 passengers in the truck. His vehicle veered off the road and he lost control of the pickup as he attempted to correct his direction. He overcorrected and lost control of the vehicle, causing the accident which claimed his life, his friend’s, and injured the three other occupants riding in his truck. Many overcorrection accidents are caused when drivers lose focus on the road as they use cell phones, talk with friends, snack on food, or change the radio. This inattention to driving makes it easy for drivers to miss obstructions, pedestrians, or wildlife. When the driver regains focus moments before a collision, their reaction may avoid the initial collision and cause a far worse collision to occur. If the overcorrection occurs on rain soaked roads or ice, the vehicle can lose traction and the car can veer out of control. When this occurs in a crowded area on a narrow street packed with traffic, the vehicle can careen off course and into buildings or any cars that may be in the vicinity. Worse still, if the vehicle has a high center of gravity, such as an SUV or pickup, the vehicle can roll over and eject, or trap its occupants inside. Overcorrection is a common cause of single-vehicle accidents. It is estimated that roughly 4% of all vehicle fatalities occur when drivers overcorrect their vehicles. This amounts to nearly 1,000 people who die every year attempting to avoid an accident. Many of these fatalities are preventable and occur because drivers perceive one threat too late, and steer their vehicle right off the road, into the path of oncoming traffic, onto sidewalks, or into bike paths. 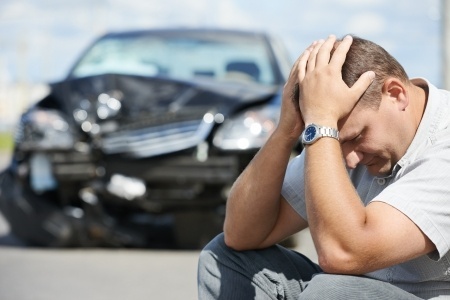 Motorists who have been injured by another driver’s overcorrection should contact a car accident lawyer to correct the wrong and discuss their legal options. When drivers negligently place other motorists, their passengers, or pedestrians at risk, they are responsible for the damage their vehicle may cause.